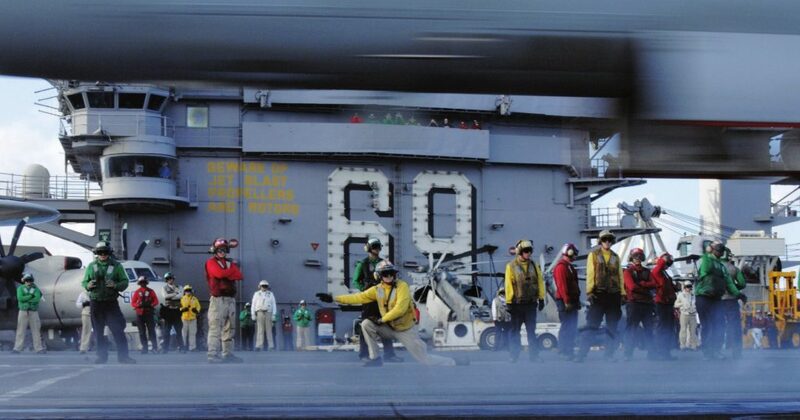 The mission of USS Dwight D. Eisenhower (CVN 69) is to provide a wide range of flexible mission capabilities, to include maritime security operations, expeditionary power projection, forward naval presence, crisis response, sea control, deterrence, counter-terrorism, information operations, security cooperation and counter-proliferation. The ship’s embarked air wing is capable of projecting tactical air power over the sea and inland, as well as providing sea-based air, surface and subsurface defense capabilities. The air wing can engage enemy aircraft, ships, submarines and land targets or lay mines hundreds of miles from the ship. 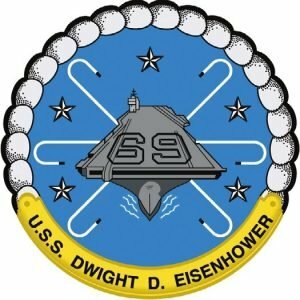 Eisenhower’s aircraft are used to conduct strikes, support land battles, protect the strike group or other friendly shipping, and implement a sea or air blockade. The air wing provides a visible presence to demonstrate American power and resolve in a crisis. The ship normally operates as the centerpiece of a carrier strike group commanded by an embarked flag officer and consisting of four to six other ships. Eisenhower’s two nuclear reactors give her virtually unlimited range and endurance and a top speed in excess of 30 knots. The ship’s four catapults and four arresting gear engines enable her to launch and recover aircraft rapidly and simultaneously. The ship carries approximately 3 million gallons of fuel for her aircraft and escorts, an enough weapons and stores for extended operations without replenishment. The ship also has extensive repair capabilities, including a fully equipped Aircraft Intermediate Maintenance Department, a micro-miniature electronics repair shop, and numerous ship repair shops. 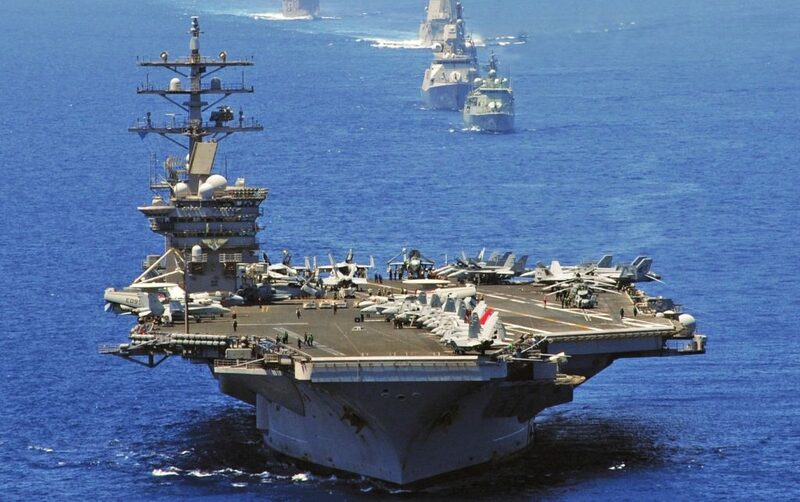 Construction of the third nuclear-powered and second Nimitz-class aircraft carrier, USS Dwight D. Eisenhower (CVN 69), was authorized by Congress in fiscal year 1970. The carrier, named after the nation’s 34th president, was christened at 11:11 a.m., October 11, 1975, by Mamie Doud-Eisenhower, the ship’s sponsor and widow of the late president. IKE was commissioned October 18, 1977, under the command of Capt. William E. Ramsey. After 14 months of fleet training, the ship made her first Mediterranean Sea deployment in 1978.